As you read about these stress management techniques, choose one to implement today. As I wrote this article, I implemented technique seven – learn stretch exercises. Reading about these methods alone will not reduce your stress. You need to put these ideas into action in order to feel better. Is that fair? Good! Let’s get started. If you live in North America, you probably don’t get enough sleep to maintain your health. The Centers for Disease Control and Prevention (CDC) puts the problem in stark terms: “insufficient sleep is a public health epidemic.” Adults generally require seven to eight hours of sleep each day. Set a bedtime (yes,that actually makes a difference). Start your evening routine thirty minutes before you go want to sleep. Avoid using computers, TVs and other electronics during your evening routine. Start a journal (even a five sentence journal) to clear your mind each day. Following these tips will make a difference to your sleep. Improving the quantity and quality of your sleep directly reduces your stress levels. Unlike retail therapy or other bad habits, improving your sleep is free too! Sitting at a desk all day is bad for your health. There’s a reason that standing desks have become so popular in recent years. No discussion of stress management techniques would be complete without discussing exercise. Consider all of the ways that lack of exercise harms your health. 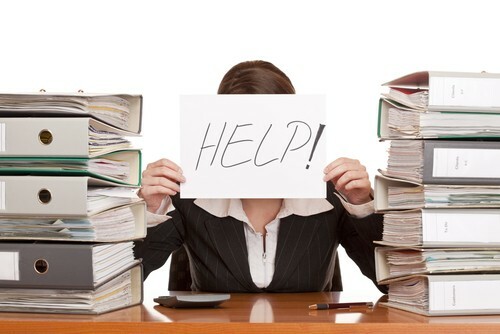 Neglecting exercise increases project stress in a multitude of ways. Without the injury prevention benefits of fitness, you will become fragile and liable to injury over small tasks Without the endurance building impact of exercise, you will tire more easily. Even worse, your cognitive performance will decline significantly. It doesn’t have to be this way. Tip: For an in-depth discussion of the mental impact of exercise, read Spark: The Revolutionary New Science of Exercise and the Brain by John J. Ratey and Eric Hagerman. Here are a few simple ways to include more exercise in your daily routine at the office and at home. Take the stairs at your office building. Go for a short walk during your lunch break (especially in the summer). Switch one car errand a week to walking. Do a set of 5 or 10 push-ups in the morning or at night. I took a break from writing this article to do 10 push-ups and it gave me a boost! Research your company’s health benefits. Many large companies offer discounts for health clubs and gyms. Immersing yourself in a well told story is one of life’s great pleasures. When I look at my recent reading history, I find that some 80% (or more) of the books I read are non-fiction. Don’t get me wrong – I love to learn from non-fiction: history, biography, business, writing and more. Reading fiction offers new vistas. There is also a deep and unique pleasure that comes from reading fiction that cannot be matched. Did you know that there is a business case for reading fiction? In 2012, Harvard Business Review reported that, “… fiction-reading activates neuronal pathways in the brain that measurably help the reader better understand real human emotion — improving his or her overall social skillfulness.” Simply put, reading fiction helps you to understand people better. Armed with that information, you now have permission to buy some novels and enjoy yourself! Do you need fiction recommendations? I’m so glad you asked. Here are some of my favourite novels to get you started. My recommendations include plenty of science fiction and fantasy but there are other titles as well. “A Canticle for Leibowitz” by Walter M. Miller, JR. Working non-stop throughout the day is rarely a good day. Taking short breaks is an indispensable part of every professional’s toolkit of stress management techniques. Previously, I have written about how to use the Pomodoro Technique to alternate between work and rest. Today, I’m going to share my recommendation on taking at least four short breaks to manage stress. For purposes of this example, I am assuming that you work a traditional 9-5 work day. Once you understand the principle, you can adjust this recommendation to better suit your situation. Taking a morning coffee break is good for you (the coffee itself is optional). For a few months, I had an enjoyable routine of joining my colleagues for a walk to a local coffee shop. Not only did I get a chance to stretch my legs, but I also got out of the office for a few minutes. Yes, I’m actually listing lunch as a break! Let me go further – I recommend you physically leave the office. When you grab lunch and sit at your desk, you will be interrupted with work related questions. The benefit of securing a mental break from your efforts is eliminated when you eat at your desk. By 2pm or 3pm, you may find that your energy levels are starting to drop. To a degree, feeling tired by the late afternoon is unavoidable. That collapse in energy can be frustrating when you have a major project task to complete. Rather than continuing to grind away on your work, I recommend taking another short break. If possible, walk around outside or include some other light exercise. In addition to the physical benefits, stepping away from your desk for a few minutes also yields a fresh perspective on your work challenges. Sitting at a desk for extended periods causes wear and tear on your body. “Economy class syndrome” is an extreme example of the problems associated with extended periods of sitting immobile. Happily, this set of stress management techniques includes a few key stretch exercises you can do at your desk. Rather than explain stretches, I will direct you to a few key resources. Stretches All Desk Workers Should Do Today. Greatist. Cubicle Stretches. Los Angeles Times. Take a few minutes to implement these stretch exercises at the office – your body will thank you. Learning a few stretches is one of the best ways to reverse the tension caused by sitting at a desk all day. Which of these stress management techniques have you put into action?